The 'Karol' bikini bottom has an elegant fit that's mid-waist, with a subtle ripple effect and is fully lined. 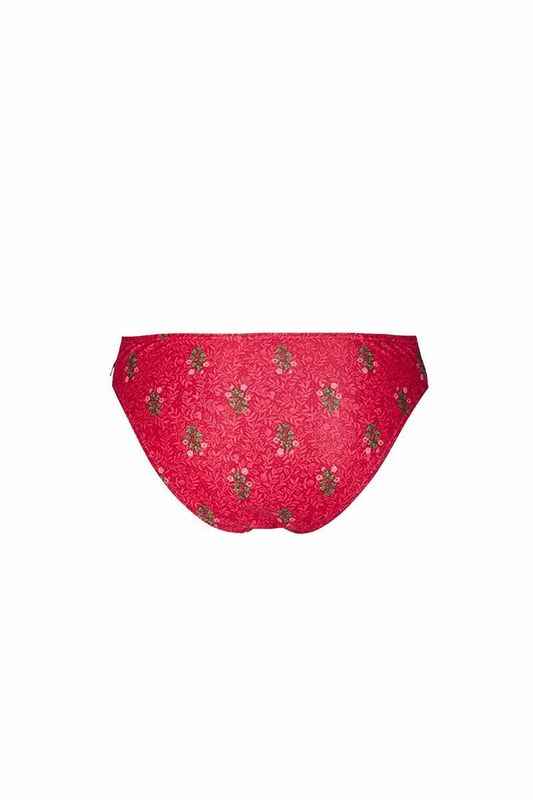 This one is printed with the 'Upsy Daisy' design: a red print of all-over twigs, layered with small flower accents. Combine it with a bikini top in the same print or mix & match with other styles.